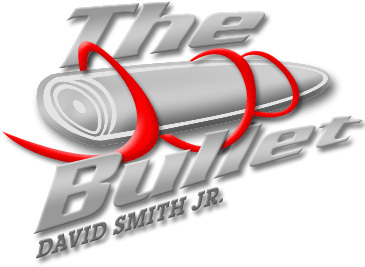 David “The Bullet” Smith is the Heir to the throne of being the world’s most accomplished Human Cannonball. 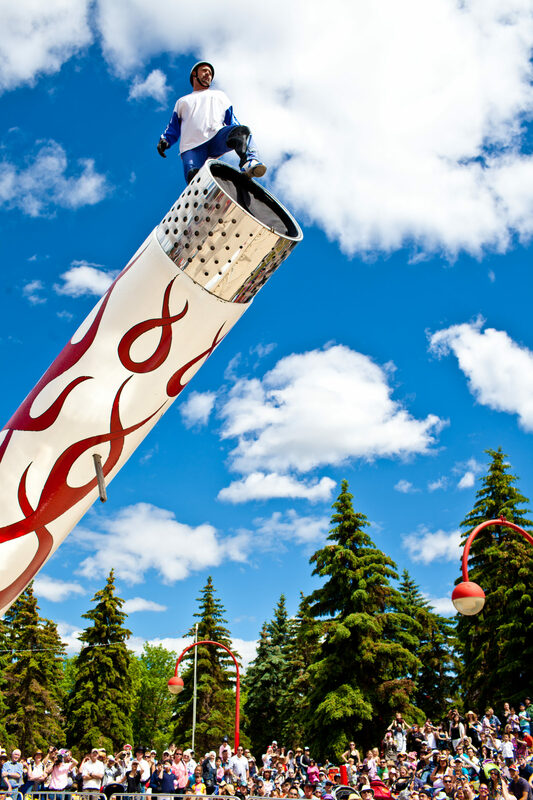 As a second generation cannonball, David is carrying on a great family tradition of being the highest and farthest flying cannonballs of all time. He has performed over 8,000 shows around the globe. From breaking the world distance record early in his career to blasting over incredible obstacles such as Ferris wheels, concert stages, even part of the Grand Canyon. David currently holds five Guinness World Records for the highest cannonball shot and the farthest cannonball shot, having broken his own record three times. He most recently set a new distance World Record at Raymond James Stadium in celebration of the Sea of Thieves video game launch by Xbox! David has taken a traditional circus act and transformed it into a world-wide thrill show. The Smith cannons have now headlined a full spectrum of the world’s top events and shows. 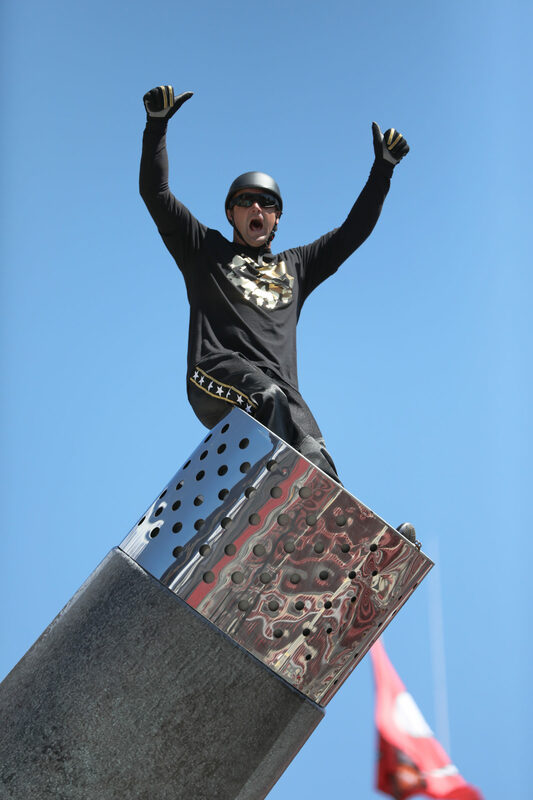 No stranger to danger, David “The Bullet” Smith has faced the unknown, fear, and injury in his quest to find a place among the top of the world’s most spectacular stunt performers. The family business began with a college gymnast/ math teacher who had some very unique talents and ambitions. Not to mention unusual circumstances. David Smith Sr., ran away with the circus to become a flying trapeze artist. As part of the “Rock Smith Flyers” he and his wife, Jean Smith, excelled at their art eventually winning the Circus World Championship in London England in 1976. Having achieved his trapeze goals, Mr. Smith decided to become “Cannonball Smith.” For a year he stayed awake at nights designing a human cannon. When their trapeze touring schedule ended for the winter he put his plans into action and built the first Smith cannon. The countless challenges of learning how a cannon works and how to be safely fired from it are tremendous. He made hundreds of successful performances inside of North America’s coliseum’s and stadiums. Improving and learning each show, soon it was time for another cannon. He had outgrown this first. Cannon number two was a continuation of the same saga. Many of the shows required extreme accuracy to avoid hitting obstacles in the buildings such as scoreboards and hanging show equipment. Soon the cannon shots were so exact and big that Cannonball smith was able to shoot within arms reach of numerous obstacles as he flew through the air across the arena. Many times he would pass only a few feet away from the ceilings of these indoor events. The third cannon was designed for much bigger shots. This is the gun that brought the Guinness World Record for the longest human cannonball flight home to the family. An awesome shot of 180 feet. For an entire summer Disneyland, California featured David Sr. as a daily parade firing down “Main Street USA.” His shots were publicized in many news articles and television shows throughout years of tours and thousands of cannon shots. Incredibly, throughout this career and all these travels Mr. and Mrs. Smith raised seven children! Each one has been fired from a cannon. Four have been professional cannonballs and two are performing today! For his daughters he built three additional and unique types of cannons. These cannons were designed to cater to events that until then could not have a cannonball performance. One is mounted on a truck allowing it to function easily in dirt arenas and on rough turf. Jennifer “Cannonlady” Smith continues to operate her cannon. Jennifer can often be seen firing off at monster truck shows, races, fairs, etc. The two other female cannons are much smaller in size. These cannons easily fit inside of smaller theaters, hotel lobbies, and show tents. Rebecca Smith and Stephanie Smith operated these guns but have since retired from the life of cannonballing.